Save $20-- Use your Chinook Book coupon! The office is conveniently located in the Garland Building on East Hennepin Avenue, across the river from downtown Minneapolis, in the Old St. Anthony/Nicollet Island-East Bank neighborhood. Enter on East Hennepin Avenue at the south side of the building. The door is between Honey and Kramarczuk's. Look for a sign overhead for the Garland Building. Take the stairs to the 2nd floor, to Suite 204. Elevator access is available through the 2nd street door; please notify Jen in advance if you need elevator access, to ensure the door will be open at your appointment time. Enter on the 2nd St. NE side of the building, through the door closest to the parking ramp. A parking ramp is located on the north side of the building, and metered parking is available on adjacent streets or in the lot across Hennepin Avenue, south of the building. Explore the area! 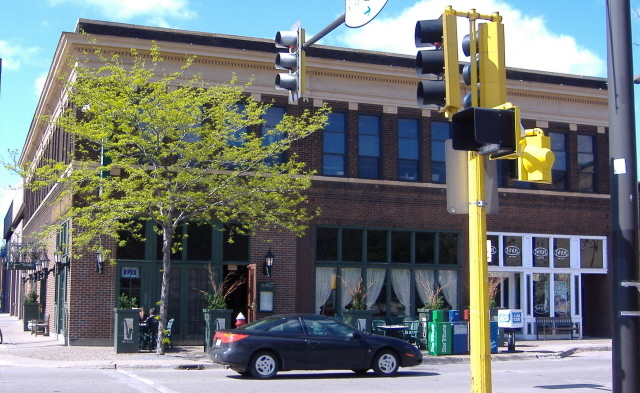 Several restaurants and specialty shops surround the Garland Building. © Copyright 2019 Into Balance Bodywork. All rights reserved.